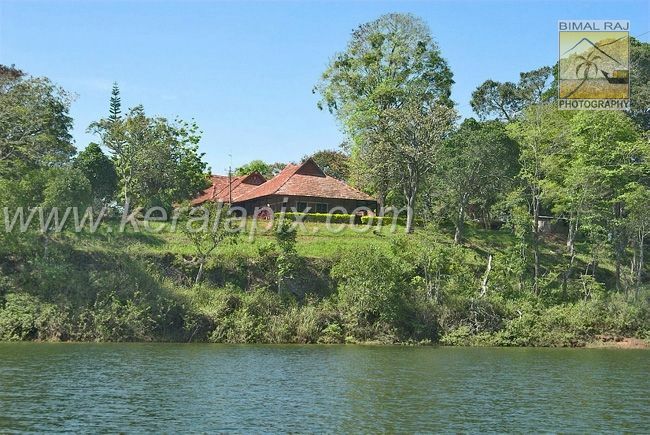 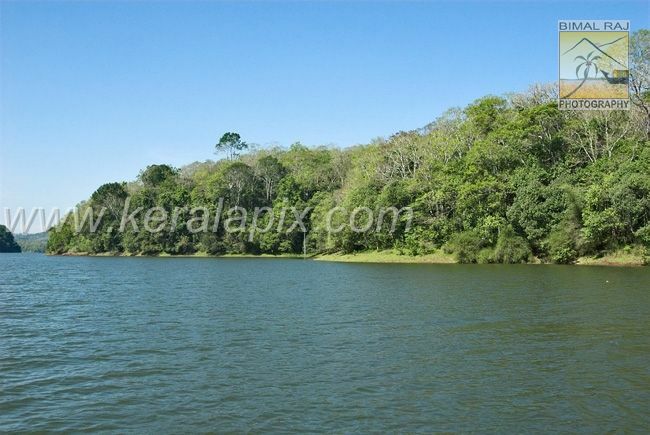 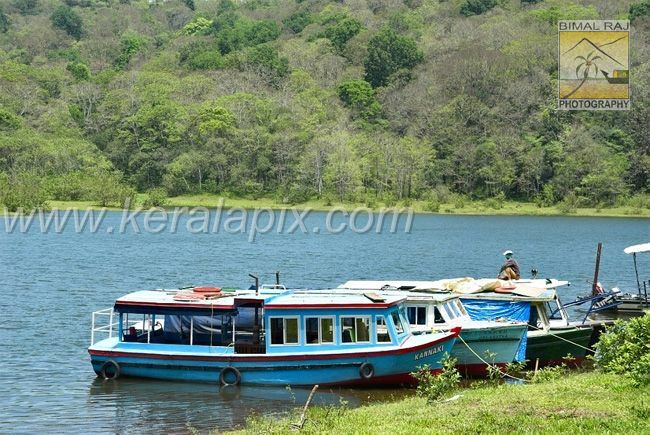 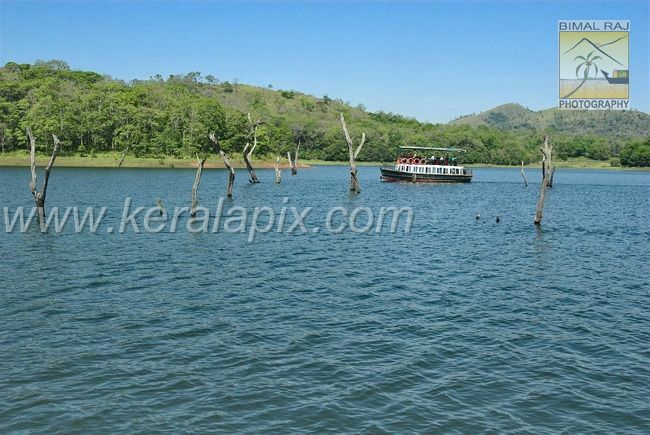 Picturesque Periyar Wildlife Sanctuary and lake. 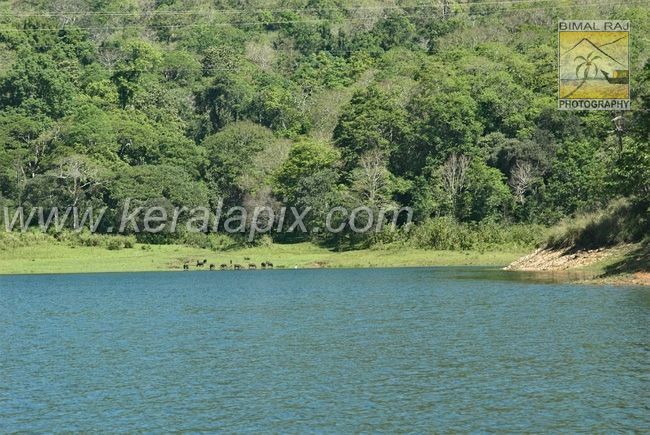 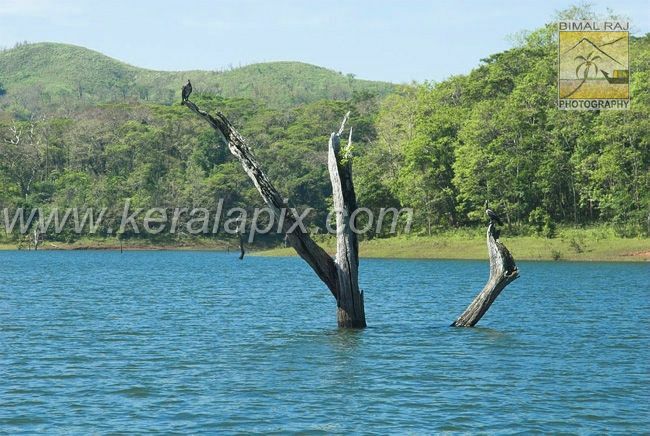 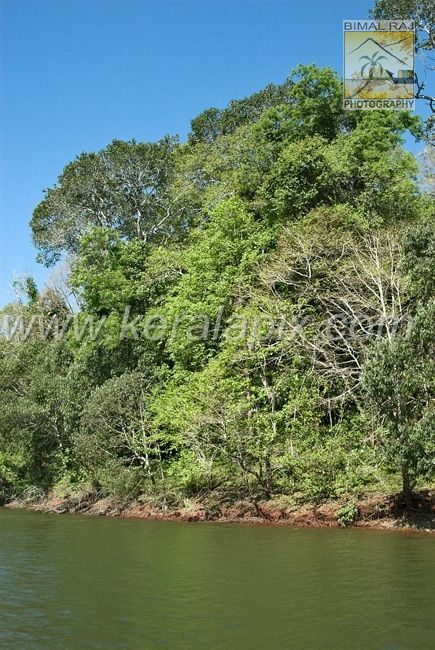 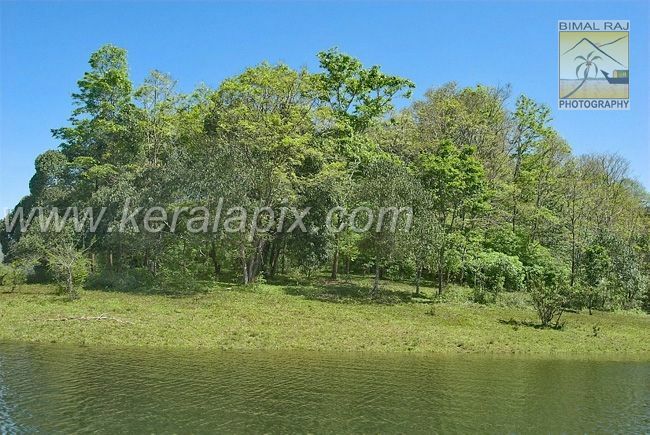 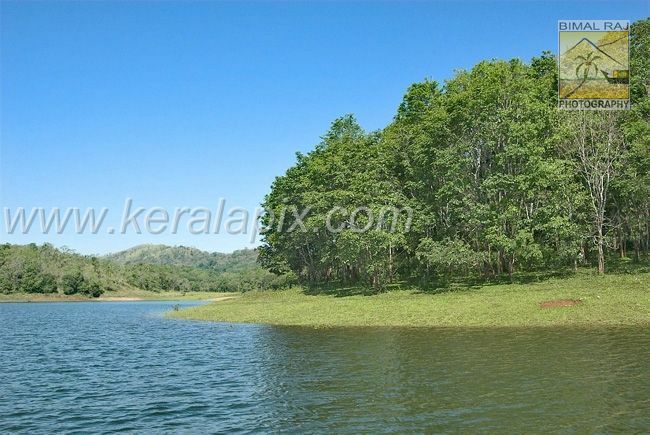 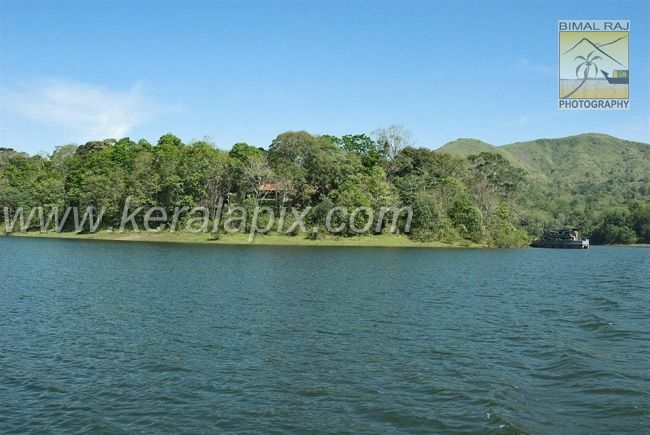 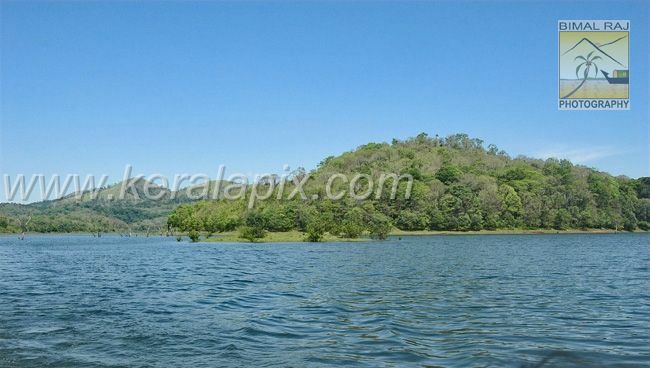 Due to the unexpected 'Venal mazha' (Summer rain) in the months of March / April, this reservoir of Mullaperiyar dam is at it's full capacity and the forest foliage is lush green which are uncommon in this season. 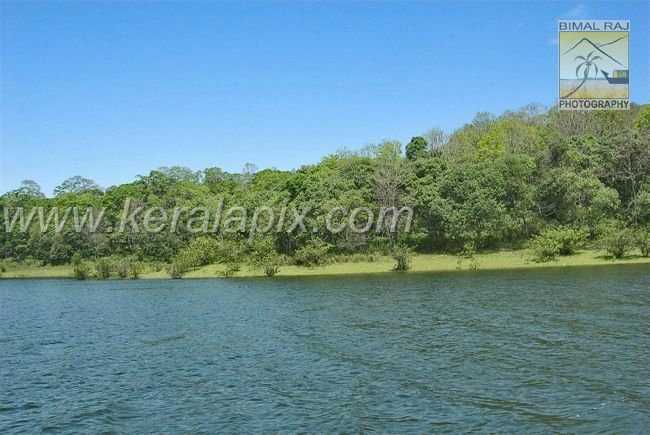 The clear blue sky also adds additional brilliance to the pictures.